There’s just something about new blooms and warming weather that makes a body want to shed overcoats and scarves and head outdoors. That’s what the little boy in my story does when he can’t figure out what to write about for a Health project. Once outside, he finds plenty of ideas. Check out the list of upcoming themes and maybe you’ll find an idea for a story while you’re taking a walk, riding a bike, or even mowing the lawn. Or maybe like me, you’ll sit at your desk, look out the window, and think something up. P.S. 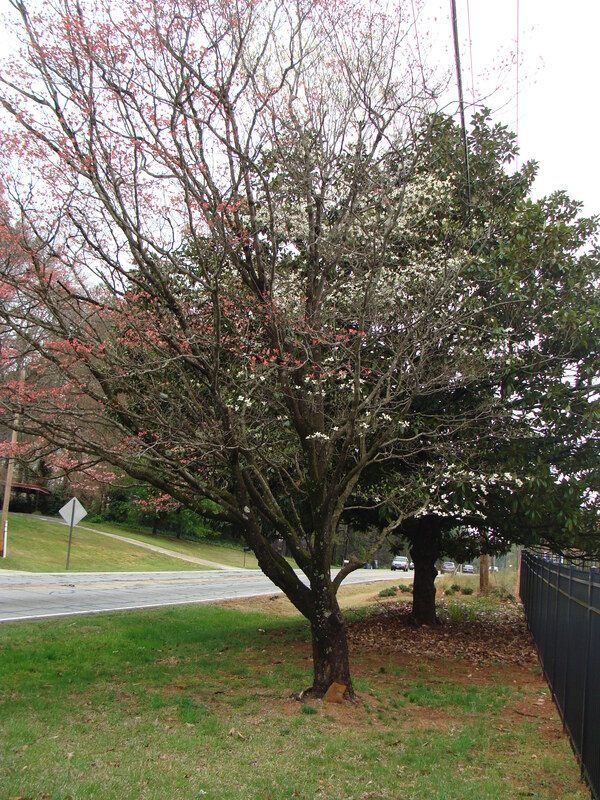 Can you tell this dogwood tree has both pink and white blooms? I know Spring has sprung when I ride down the road near my house and see my favorite tree in bloom!